The upcoming Scotland’s Tea Festival will highlight the connections between Sri Lanka and the Scots involved in establishing the Ceylon Tea industry. The focus is firmly on the story of James Taylor, recognised as “The father of Ceylon Tea” in Sri Lanka but until recently not fully acknowledged in his native land. Taylor left Auchenblae in 1851 aged 15 years, and travelled by train to London where he signed a contract with Agents Hadden & Co. (from Aberdeen) as an assistant manager on a coffee estate in Ceylon. A four-month voyage around the Cape of Good Hope saw him land at Colombo into the immediate care of the Mackwood family. He was not alone; there were at least 10 others from within five miles of Auchenblae similarly employed. He went on to create a thriving and world-famous tea industry, for which he is still celebrated in Sri Lanka. The festival caters for the whole community, from the Teddy Bears Tea Party and the art of reading tea leaves, to tea tasting demonstrations and a retail food exhibition, to an extensive historical exhibition and lectures from historians including Professor Sir Tom Devine. Twenty different items will fill a busy Festival Weekend, starting on Friday 23rd August. 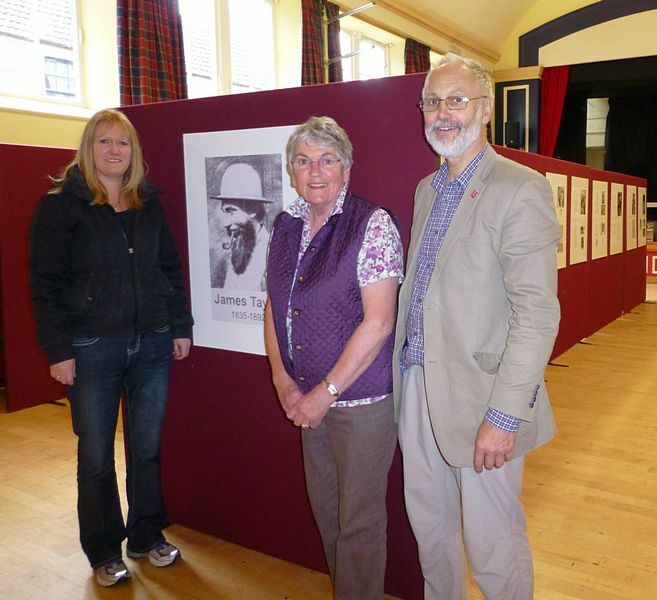 Pictured below are Angela McCarthy, Professor of Scottish and Irish History, Otago University, New Zealand with Jenny Thompson of the Auchenblae Heritage Society and Mike Robson of the Howe o’ the Mearns Heritage Trust, all part of the team behind this all-embracing festival. More on the festival at www.scotlandteafest.co.uk.